Today’s post hopes to take our minds off the stress that accompanies the season and focus on the joys of the season. Whether you celebrate Christmas or not, there is something beautiful and magical about the holiday decorations at night. 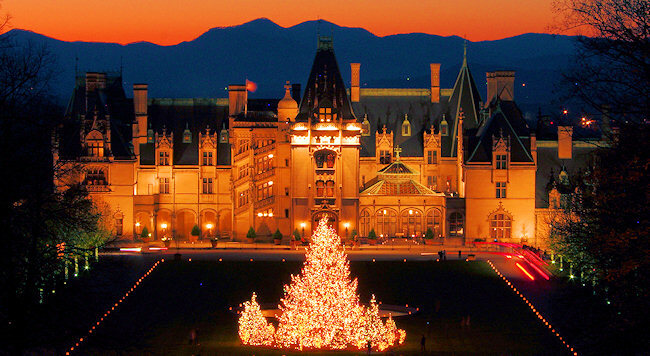 The photo above highlights Asheville’s Biltmore Estate at dusk. The deep indigo of the mountains frames both the evening sunset and the softly lit castle. 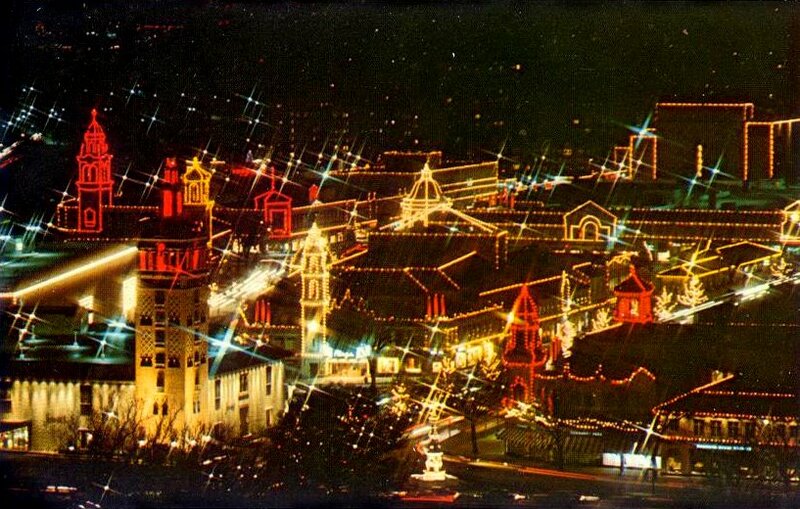 The next photo is from the Country Club Plaza in my home town, Kansas City, MO. Inspired by the architecture of Seville, Spain, the Plaza was built in 1922 and is one of the earliest suburban shopping areas in the United States. Over 80 miles of lights decorate each tower, rooftop & window from Thanksgiving evening to mid-January. It is hard to describe the warmth of the lights and the festive nature of the shoppers as you walk down the streets during the Christmas Season.